To keep Winx Club a clean place the following things are NOT permitted. Any account breaking these rules will have their messages removed and their account permanently deleted. 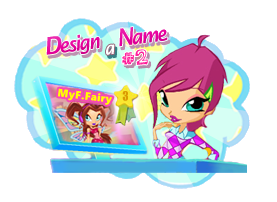 1.Posting real surname, email address, password and any other personal data! 4. Asking for passwords or attempting to gain access to other peoples accounts in any way (such as asking people to change their email address to your email address). Winx Club will NEVER ask for your password. 5. Promoting any kind of advertising for any other web sites. 6. 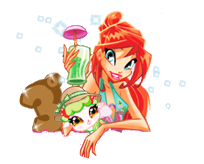 Do not discuss religious or political views anywhere on Winxclub. 8. Posting rude messages/swearing/fighting with others. We have some new changes on the rules! 1. From now on you are allowed to say your real name and age! This is only up to the members. Anyone trying to force it onto another one/disclosing name or age without the member's permission, will get a warning or if repeated, get banned. 2. You are allowed to state your religion but you cannot argue or force it onto another person! If you need any kind of help that is religion related, you are free to ask for help on Bloom 4ever area! If you have any questions regarding to any of the rules, you can ask your questions on HELP! area. We have a new rule! From now on, ''Good Bye'' topics on the forum are banned. They cause drama, tendency to leave the forum and also include personal data to find them. If you want to leave, leave silently or tell to your friends by Private Messages.